Build the ultimate team of creatures and set off on exciting adventures in this brand-new RPG/strategy game. With a gameplay that feels like a simplified yet possibly more exciting version of Pokemon, Creature Quest will definitely provide hours of fun as you try to assemble the strongest team of creatures there is! In Creature Quest, the creatures that you have on your team is of utmost importance. Each creature can be associated with an element, be it fire, nature, ice, sun, light or darkness. The game also has an element counter system of sorts where, for example, fire creatures have an advantage when attacking nature creatures but will suffer from a disadvantage if they take on an ice creature instead. Light and darkness creatures have a counter system of their own since these 2 elements don’t really mix well with the rest. New creatures can be summoned using idols or tickets you’ve collected via quests or you could simply spend diamonds (premium currency) to get an instant level 10 and higher quality creature. 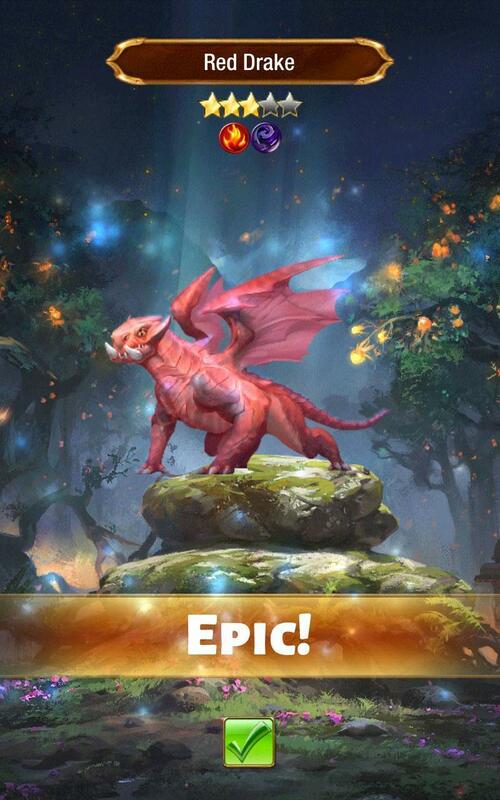 You may also win creatures by battling them in quests. All your creatures are stored in a Creature Storage. Here, you can also upgrade your creatures by leveling them up using experience gems, evolving them once they reach their respective level caps, and imbue them with bonus permanent stats via PLUS trinkets. Aside from upgrades, you can modify your team’s lineup of creatures, and for the advanced player, customize your creatures too. Eager to test your team out? Well, you can do so in “Quests”. Quests in Creature Quest is a lot like a single-player campaign. Each quest in this game is timed and consisted of 5 levels of difficulty ranging from Squire to King. The higher difficulty level is only unlocked after you’ve completed the previous difficulty. Energy is also required to enter a quest, explore the map in the quest and to engage in battles. Energy restores over time as well as during level-ups. As you level up, you’ll also unlock another PvE option called the Battle Tower in which you’ll need to battle various creatures of increasing difficulty floor by floor. With every victory, you’ll win some amazing rewards! For the game’s ranked PvP aspect, players are given the opportunity to design their own dungeons instead. Once you’re done, you can then take on other players’ dungeons via the Dungeon Challenge in an attempt to gain some prestige and booty. Combat in Creature Quest, on the other hand, may seem to be a bit complicated, so it’s wise to pay attention whenever a tutorial pops up. Generally, the creatures in your team will have 2 skills that you can use. The first skill being the basic Attack ability that you can change via Tome Swap. 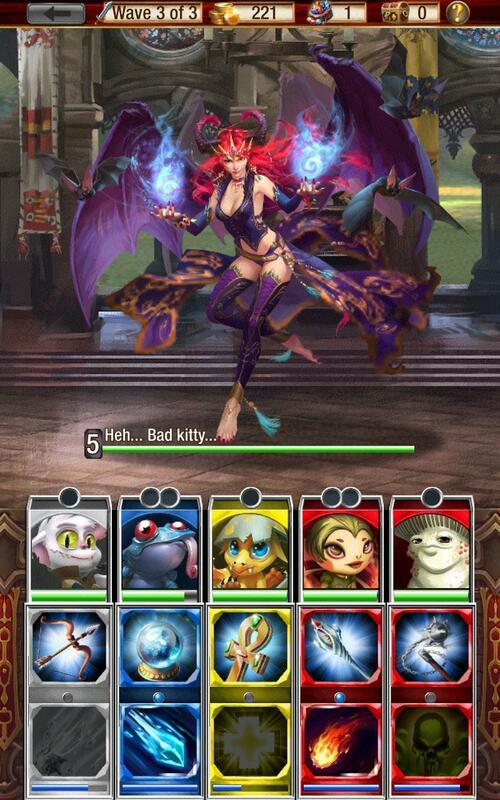 The second ability is a Special skill that needs to be charged up by dealing damage with the Attack skill. The turn-based combat system is slightly different than what you may be used to in MMOCCGs. Players can perform 1 action per creature per turn, and they can also tap on a specific enemy to target it. Interestingly, the game also has a combo system whereby using certain elemental abilities will provide other creatures with substantial combo damage. There are many stuff at the in-app shop that will help you gain an advantage in Creature Quest too. Diamonds, for instance, can get you experience and gold buffs, tickets, tokens which you can use to unlock mystery chests, and more. You can even expand your storage space so you can collect more creatures. Alternatively, with real money, you can buy more diamonds and special bundles containing unique creatures. The game also offers tiered VIP, so basically, you’ll need to buy “VIP points” to “level up” your VIP tier. The higher up you go, the more benefits and perks you’ll get. Guilds are a pretty integral aspect in Creature Quest as it’ll allow you to play together with your guildmates for weekly Tributes. You can also recruit your friends to the game to win an exclusive Jade Dragon, other bonus creatures via idol summons and diamonds. Creature Quest has some incredible graphics with an art style that may bring to mind the beautiful “card art” you’d often see in MMOCCGs. That’s not all, the game even has some really nice sound effects and music. When combined, both graphics and sound manage to give the game a magical feel which fits perfectly with the game’s fantasy theme. 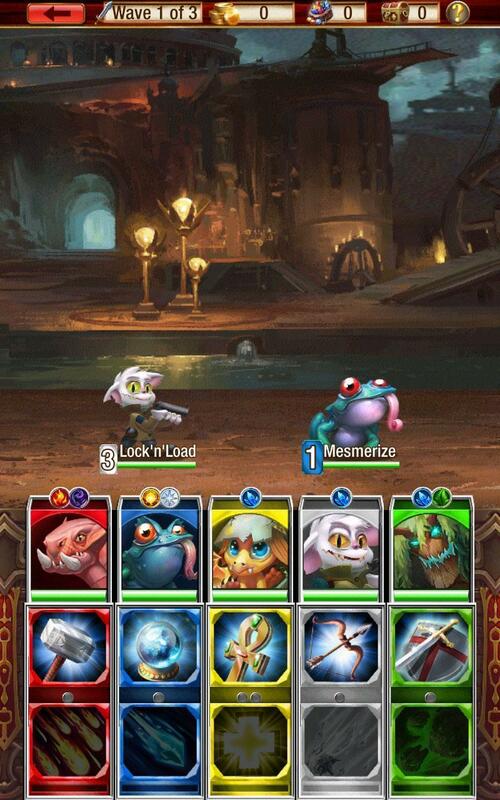 In short, Creature Quest is a beautifully designed RPG/strategy game that allows you to collect and battle various creatures while going on exciting exploration-based adventures. Despite having a game premise that may be somewhat similar to Pokemon, this game stands out by providing players with an in-depth combat system whereby color counters and combos play huge roles in determining the outcome of a battle. So, if you think you’d enjoy this type of games, be sure to download Creature Quest today and give it a try. You’ll be amazed!